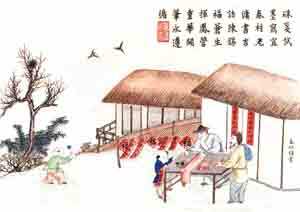 & the Kitchen God – A great school Chinese New Year project. Chinese New Year Talismans Couplets and the Kitchen God are very traditional festive items that are used all over the world as wall decoration because of their auspicious nature. They are usually printed in black ink on bright red paper; it is recommended to hang these Chinese couplets around your home or on your main doors, or you can present them as gifts to send good wishes to your friends and family. These Talisman Couplets and the Kitchen God are a lovely gift to print and give as a present unconditionally to a friend, relative or co-worker on or around Chinese New Year although they can be given and placed at any time of the year. These two projects below are a great activity for people of all ages, these projects are great for schools as children will especially find this interesting as it teaches them the cultures of another country. If you are a school teacher please feel free to download this file and use it in your classroom. You can download the printer friendly version by the banners at the top and bottom of the page. This can also be saved to your computer hard drive so you can email this to friends and family. 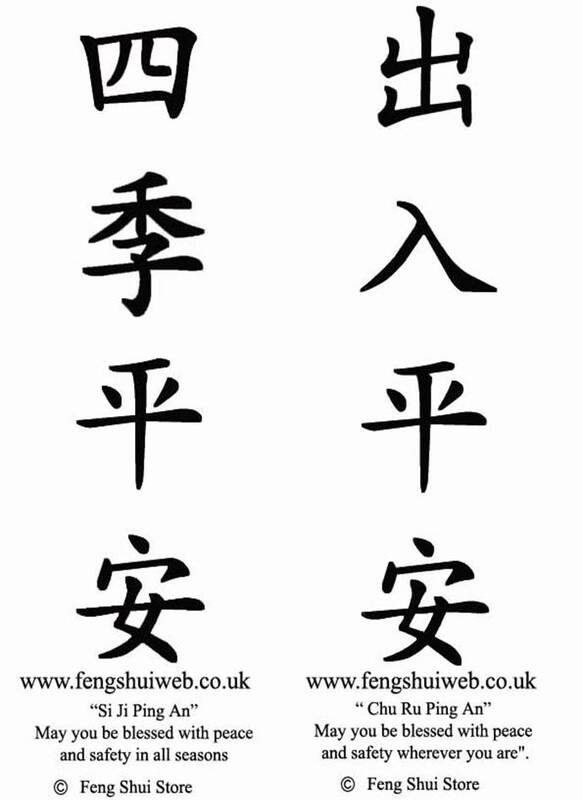 The Couplets/Talismans are usually used by most Chinese families and businesses. Whether they are in Hong Kong, Kuala Lumpa, Singapore, Australia or the UK, they are very powerful and are said to deter all evil and bring peace, happiness and good fortunes to the occupants if they are displayed in the correct way as shown below. 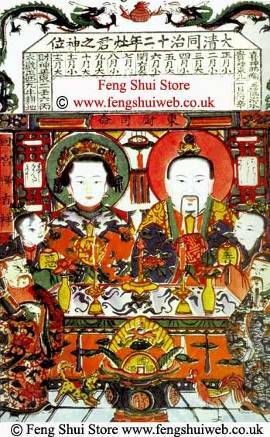 These are particularly good to use in 2011.
as this can be a difficult year from a Feng Shui point of view. Red is a very auspicious colour for the Chinese, it is said to frighten off the New Year monster “Nian” who arrives and destroys crops and homes. “Nian” has three weaknesses: noise, sunshine and the colour red. The Villagers used to build huge fires and would paint their doors to their houses red with red couplets behind the doors; they would set off firecrackers to scare the “Nian” monster away. 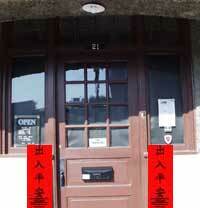 Red also represents good fortune, fame and riches to the Chinese. These Couplets/Talismans can be hung outside your home, flat or office beside the main door and also inside in important rooms like the kitchen, bedroom and lounge. They are also hung either side of the cooker or hob. They are normally hung for two months after the New Year (3th February 2011) although a large majority of people leave them all year round for continued good luck. Red envelopes also known as “red packets” “laisee” or “Hung-Bao” are also an important part of a traditional Chinese New Y”Ang Pow” ear. I have written an interesting article on this and also made another project should you wish to make your own. If you follow this link you will find more details. The Kitchen God is seen as the guardian of the family heart (cooker). He was regarded as the inventer of fire, which was necessary for cooking and was also the God of household morals. Traditionally, the Kitchen God left the house on the 23rd of the last month to report to heaven on the behaviours of the family. The family would do everything in their power to impress the Kitchen God so that he reported to heaven with good comments. On the evening of the 23rd, the family would give the Kitchen God a ritualistic goodbye dinner with sweet sticky foods and honey. Some would say that this was to bribe him; others would say that the sticky sweets and honey would seal his mouth from saying bad things about them. details on 2011 Chinese New Year etc. us credit for our hard work and a link back to our website. Contact michael@fengshuiweb.co.uk for more details.